• Combine athleticism with a mastery of factoring to compete in the Young People’s Project Flagway™ Game. • Explore unsolved math problems, get stumped by expert puzzle-makers, peek into the secrets of math and magic, and test their wits in strategy games from Amazons to Santorini to Chocolate Fix at the Julia Robinson Mathematics Festival Presents: A Celebration of Mind room. 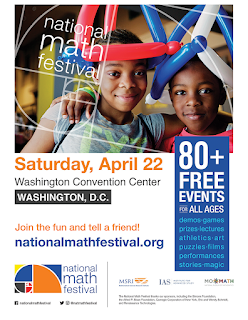 • Navigate giant mazes, design a roller coaster, slice shapes with lasers, and more at the National Museum of Mathematics (MoMath)’s carnival of interactive, hands-on activities. • Meet the Science Cheerleaders and gain a deeper understanding of the science, technology, engineering, and math inherent in cheerleading. Bring your sneakers and join the Math Cheer Clinic! • Learn how “How to Bake π" with Dr. Eugenia Cheng of the School of the Art Institute of Chicago. • Explore connections between mathematics, physics, and DNA with Dr. Mariel Vazquez of the University of California, Davis. • Navigate the mathematics Katherine Johnson used to send John Glenn into orbit with Dr. Talitha Washington of Howard University. • Bring your preschooler to make a fractal cat on a Math Playdate with Dr. Maria Droujkova of Natural Math. Download the NMF 2017 mobile app to find the most up-to-date information about the Festival including a full schedule of events, event descriptions and age tracks, presenter and organization bios. The app is available now for Apple, Android, Windows Phone, and Blackberry devices. In addition to fostering discovery in pure mathematics among professionals, MSRI invests in many initiatives to encourage the public’s understanding and appreciation for math. 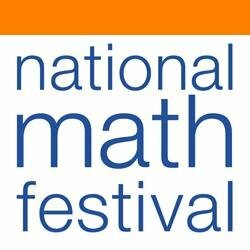 Programs include Numberphile, the most popular informal math channel on YouTube, the attention-getting documentary Navajo Math Circles and The Mathical Book Prize. The National Math Festival is made possible by the generous support of individuals and organizations that share the Festival’s mission to inspire an appreciation for the fun, beauty and power of math among individuals of all ages. 2017 Festival sponsors include: The Simons Foundation, the Carnegie Corporation of New York, Google.org, the Alfred P. Sloan Foundation, the Charles and Lisa Simonyi Fund for Arts and Sciences, Eric and Wendy Schmidt, Renaissance Technologies, the Kavli Foundation, the Gordon and Betty Moore Foundation, the National Science Foundation, Qualcomm, and the Research Corporation for Science Advancement. MSRI is proud to join the American Mathematical Society, the Association for Women in Mathematics, the Mathematical Association of America, the National Association of Mathematicians, the Society for Advancement of Chicanos/Hispanics and Native Americans in Science and the Society for Industrial and Applied Mathematics in promoting awareness of mathematics through public programming including National Mathematics and Statistics Awareness Month, More Math!, and the National Math Festival. 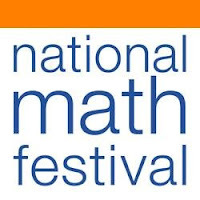 For more information on the National Math Festival, visit www.nationalmathfestival.org, connect on Facebook, or follow the Festival on Twitter @NatMathFestival and Instagram @NatMathFestival. The Mathematical Sciences Research Institute (MSRI) is one of the world’s preeminent centers for collaborative research in mathematics. Since 1982, MSRI’s topic-focused programs have brought together emerging and leading minds in mathematics, in an environment that promotes creativity and the interchange of ideas. Over 1,500 mathematical scientists spend time at MSRI’s California headquarters each year. MSRI is known around the world for the quality and reach of its programs and its leadership in basic research, and also in mathematics education and in the public understanding of mathematics. For more information, visit www.msri.org. The Institute for Advanced Study, founded in 1930 as an independent institution in Princeton, New Jersey, is one of the world’s leading centers for basic research in the sciences and humanities, where the permanent faculty and visiting scholars have the freedom to pursue some of the deepest theoretical questions without pressure for immediate outcomes. Its reach has been multiplied many times over through the more than 7,000 scholars who have influenced entire fields of study as well as the work and minds of colleagues and students. For more information, visit www.ias.edu. The National Museum of Mathematics (MoMath) allows adults and children alike to experience the evolving, creative, aesthetic, and often surprising nature of mathematics. Located in the heart of Manhattan, New York, the Museum is home to more than three dozen hands-on, engaging exhibits that showcase the fascinating world of mathematics. MoMath has also designed and implemented hundreds of innovative programs around the country including interactive presentations, math tournaments, camp programs, book discussions, movie nights, math tours, storytelling sessions, nights of comedy, mathematical concerts, and a wide variety of public outreach events. For more information, visit www.momath.org.